Yosemite Valley near sunset, the best time to experience this overall view. It is majestic! El Capitan, the largest known block of granite in the world is on the left. 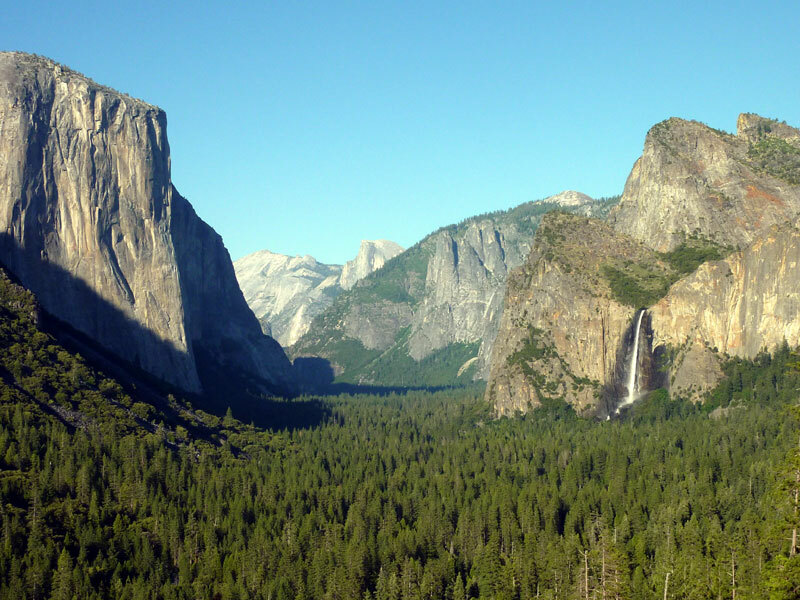 Half Dome, the iconic symbol of Yosemite is in the center. Bridalveil Fall is on the right. 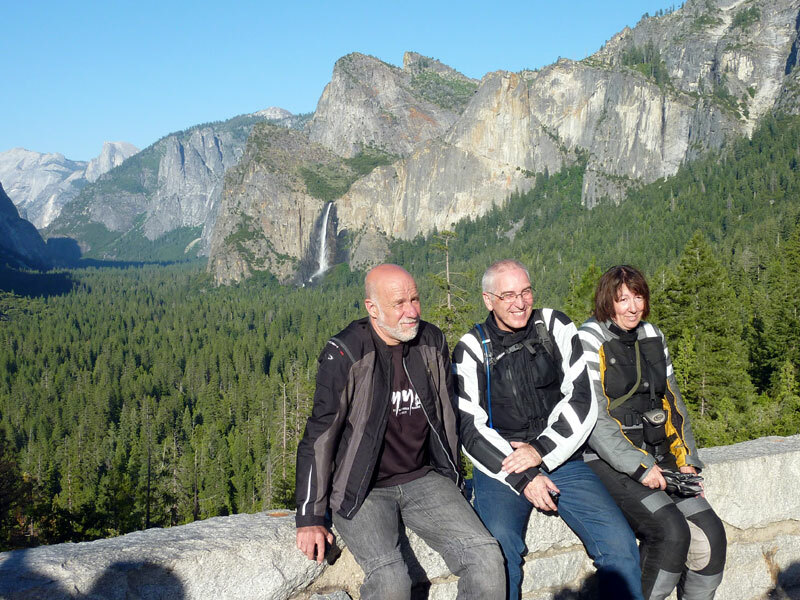 Jon, Alan and Wendy basking in the diminishing sunlight with Bridalveil Fall behind them. Oops, now we have lost Cathy. Dang, I hate when we lose people, eh Jon?